Developing High Quality Data Models provides an introduction to the key principles of data modeling. It explains the purpose of data models in both developing an Enterprise Architecture and in supporting Information Quality; common problems in data model development; and how to develop high quality data models, in particular conceptual, integration, and enterprise data models. The book is organized into four parts. Part 1 provides an overview of data models and data modeling including the basics of data model notation; types and uses of data models; and the place of data models in enterprise architecture. Part 2 introduces some general principles for data models, including principles for developing ontologically based data models; and applications of the principles for attributes, relationship types, and entity types. Part 3 presents an ontological framework for developing consistent data models. Part 4 provides the full data model that has been in development throughout the book. The model was created using Jotne EPM Technologys EDMVisualExpress data modeling tool. 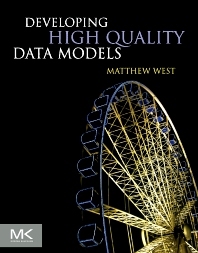 This book was designed for all types of modelers: from those who understand data modeling basics but are just starting to learn about data modeling in practice, through to experienced data modelers seeking to expand their knowledge and skills and solve some of the more challenging problems of data modeling. This book is intended for data management professionals with job functions that include data modeler; data architect; database designer; database application developer and application architect. 1.4 What Is a Data Model? 1.5 Why Do We Do Data Models? 7.3 What Other Attributes Might You Expect? 12.1 What Is a Set? 14.1 What Are Systems and System Components? 14.5 Do I Need a Separate Set of Classes for System Components?